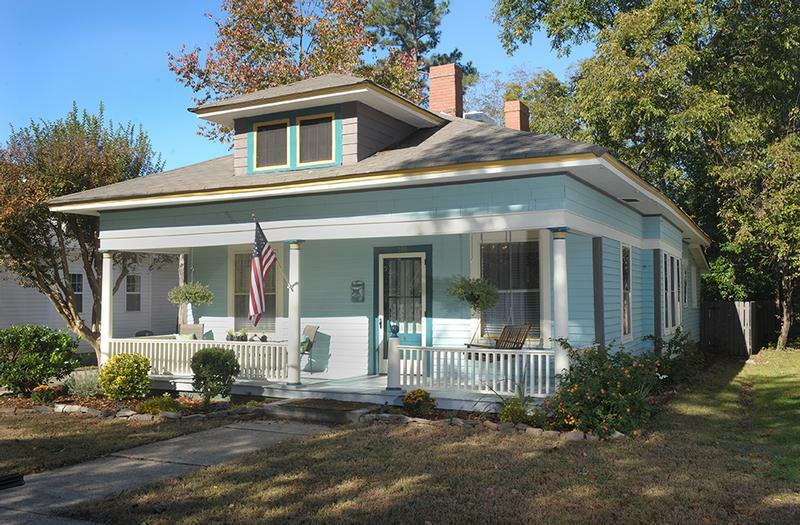 Fully renovated 1910 Arts and Crafts Style bungalow located in West End area of Historical Salisbury. This adorable 3BR 1.5 BA cottage includes original refinished hardwood floors, renovated kitchen, new powder room and fully updated bath. The large eat-in kitchen has been restored, retaining the original upper cabinets with refurbished hinges, while providing the convenience of new stainless steel appliances. Kohler sink, silent close base cabinets and water proof laminate flooring cater to today’s buyer. The master bedroom boasts two, custom closets, both with lighting, in addition to tons of storage throughout.The back BR would make a lovely nursery or study. The large lot has a fenced in backyard, newly landscaped perennial gardens and ample off street parking. Historical features throughout include 2 decorative fireplaces, stained glass, porch swing, doorbell, light fixtures and large front porch. All interior doors have been fitted with period appropriate locks and keys.